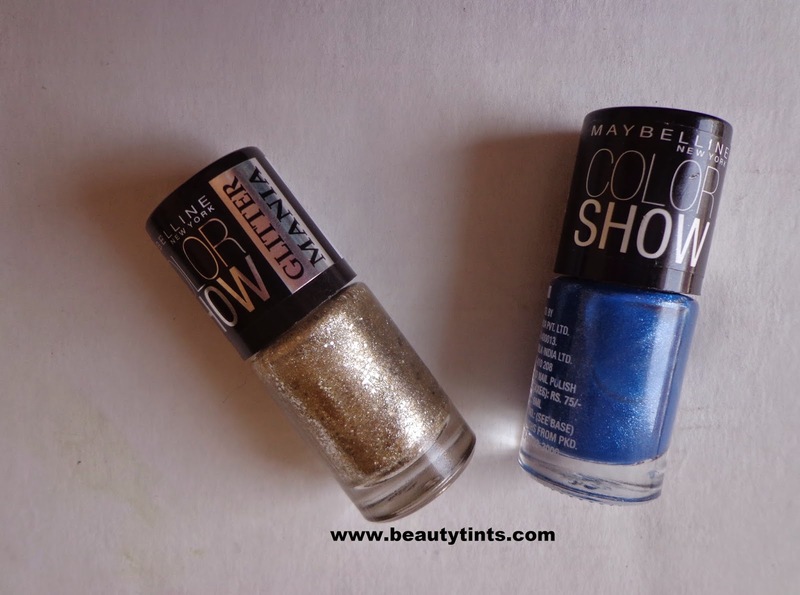 I thought of posting this Simple Festive Nail Art With Maybelline New York Color Show Nail Paints yesterday but did not have time, so posting it today.This is a very easy and simple Nail art which takes just 5-7 minutes.For this we need only two Maybelline New York Color Show nail paints.One darker Shade and One Glitter nail paint.I used the Shade 503 'Denim Dash' from the color show range and Shade 601'All the Glitters' from the Glitter Mania range. 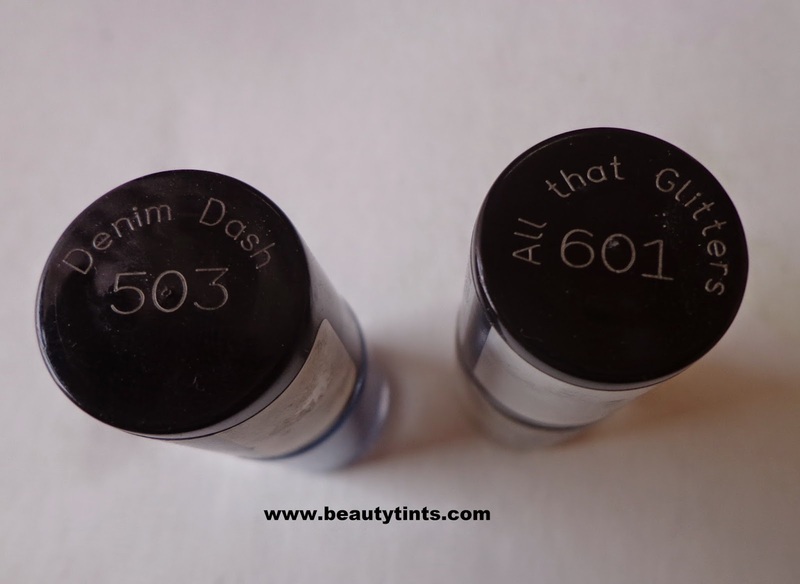 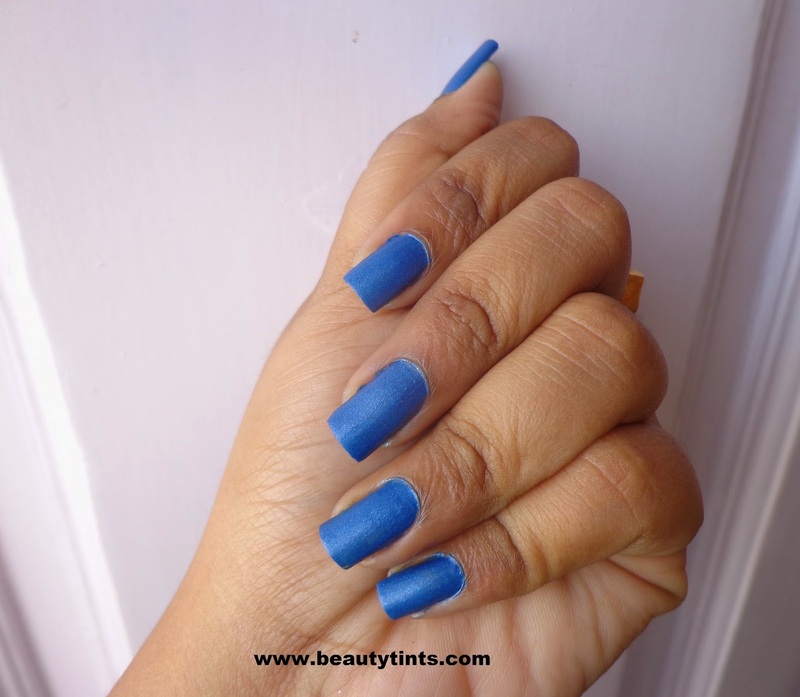 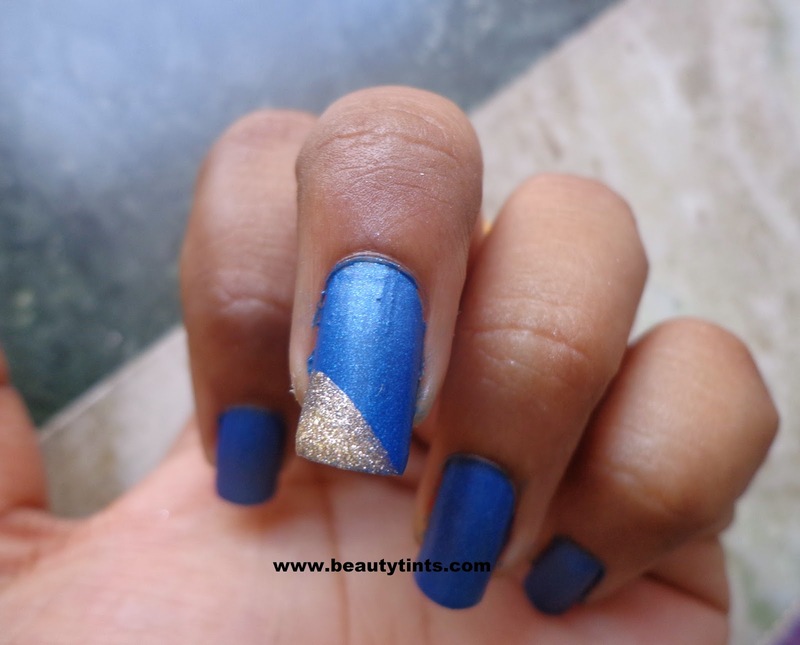 Step 1 : Paint your nails with the darker shade,you can use any shade,I am using the shade 'Denim Dash' here. 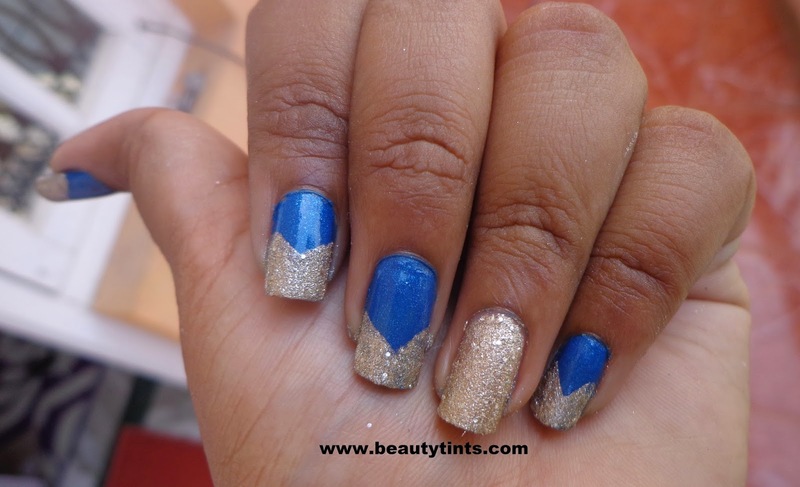 Step 2 : Starting from the middle corner of one side of the nail, paint the nail using the Glitter nail paint as shown,I used shade 'All the Glitters' here, Repeat the same for all other nails also.You can use a separate nail art brush for this but I painted with the nail paint brush itself. 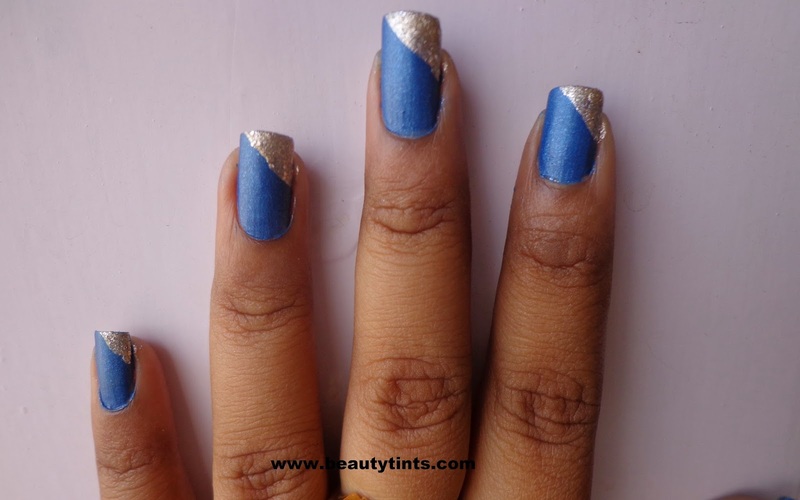 Step 3 : Now paint exactly like this the other side of the nail too in the opposite direction. 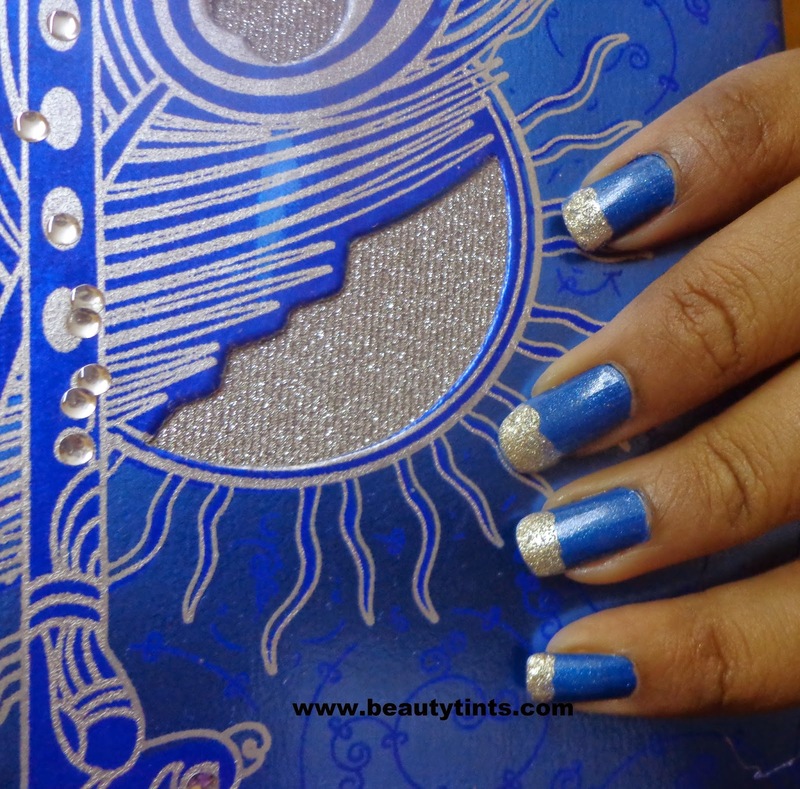 Finish off by painting with a clear nail paint.This is how it looks after finishing!!! 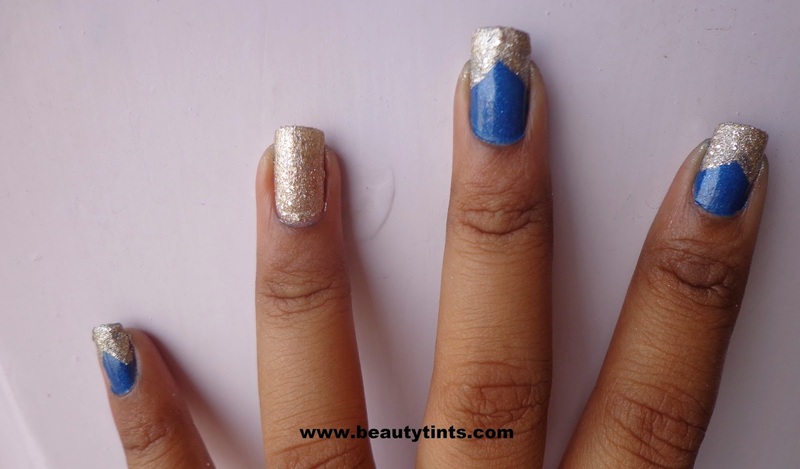 You can also paint the ring finger completely with glitter nail paint.This is how it looks! 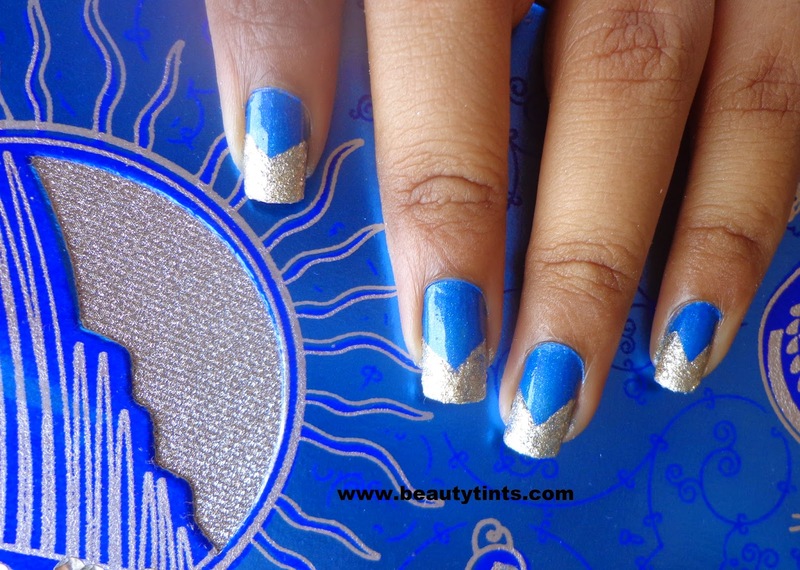 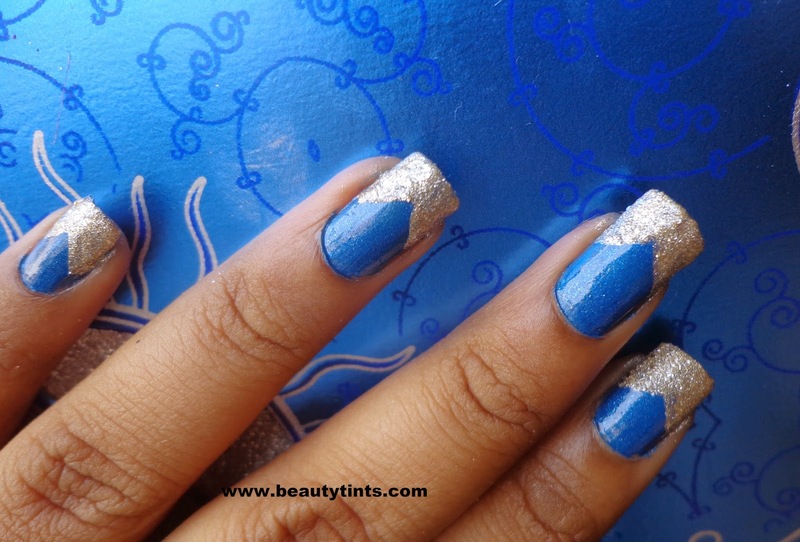 This is another style using the same nail paints. 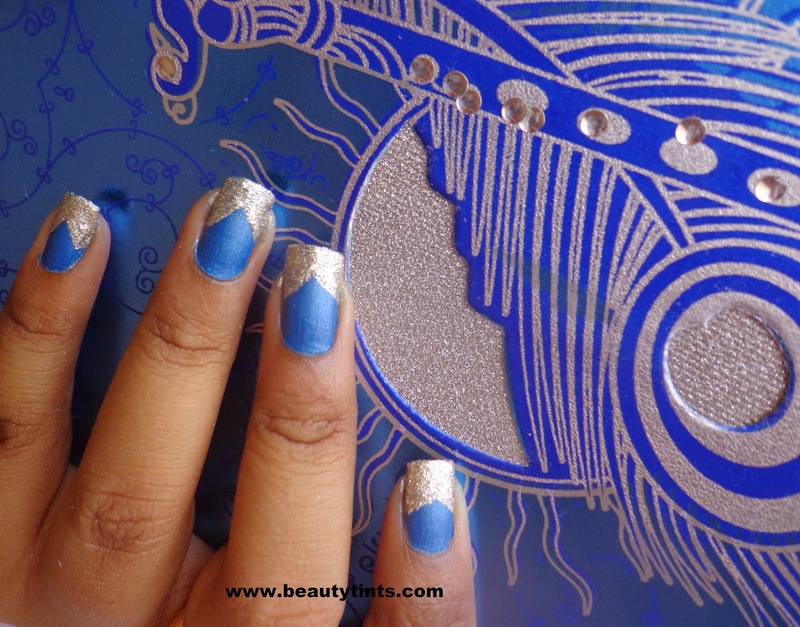 Also check out my other nail arts here and here. 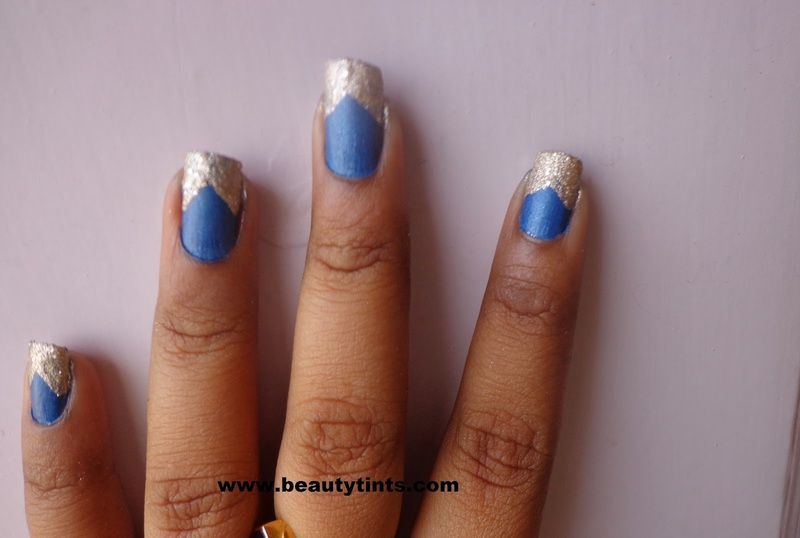 Looks beautiful, esp the one where you painted ring finger different.